1. 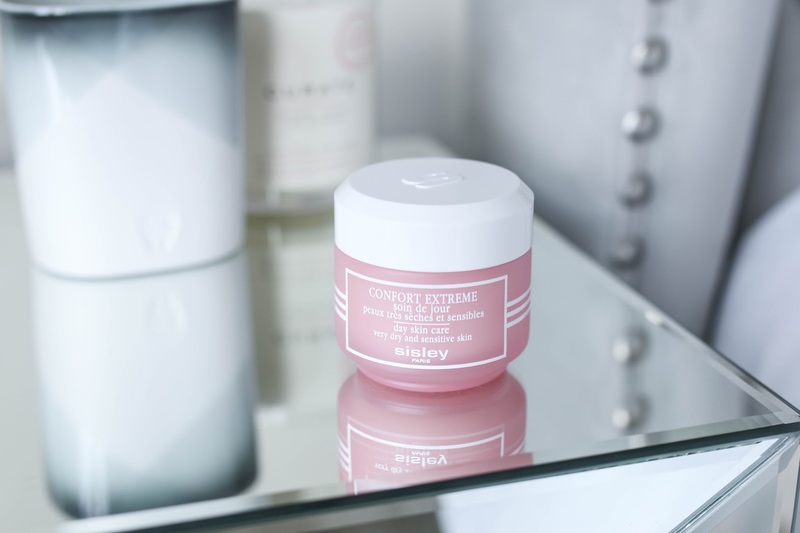 Confort Extreme Day Cream - This cream feels like a big comforting blanket for your face. The texture is rich but not greasy, immediately calms the skin leaving it feeling soft, hydrated and smooth. It's great as an all over option or a spot treatment for particularly dry or irritated patches on the face. I prefer to use this during the day because it absorbs so easily and leaves my skin well prepped for makeup. Going into winter, this will be a life saver! 2.Nutritive Handcare - I have been keeping this hand cream in my nightstand because I enjoy using it before bed, but recently have moved it to my purse because it can instantly nourish my hands on the go. Some of my hand creams are hydrating but take a long time to dry down, which is why I never keep them with me during the day. This dries almost instantly and never leaves my hands feeling greasy or with a slip to them. 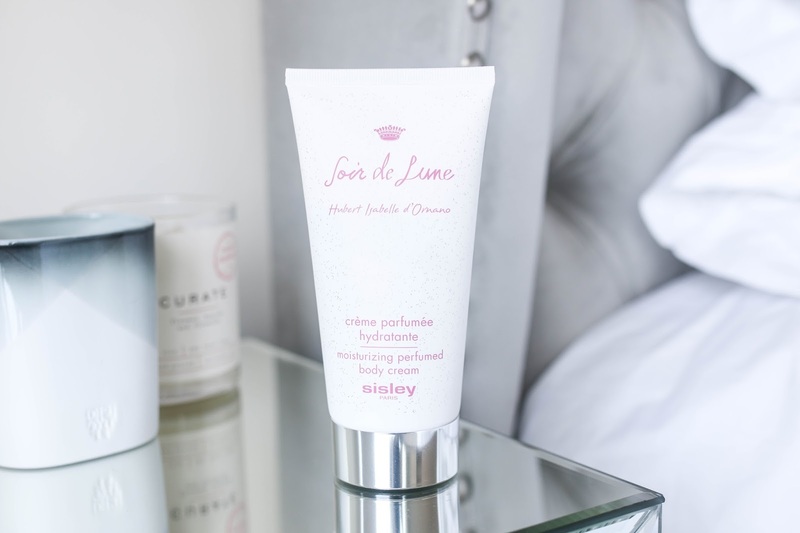 3.Soir de Lune Moisturizing Perfumed Body Cream - I enjoy wearing fragrant body products because I find that the scent is always more understated than a typical perfume. 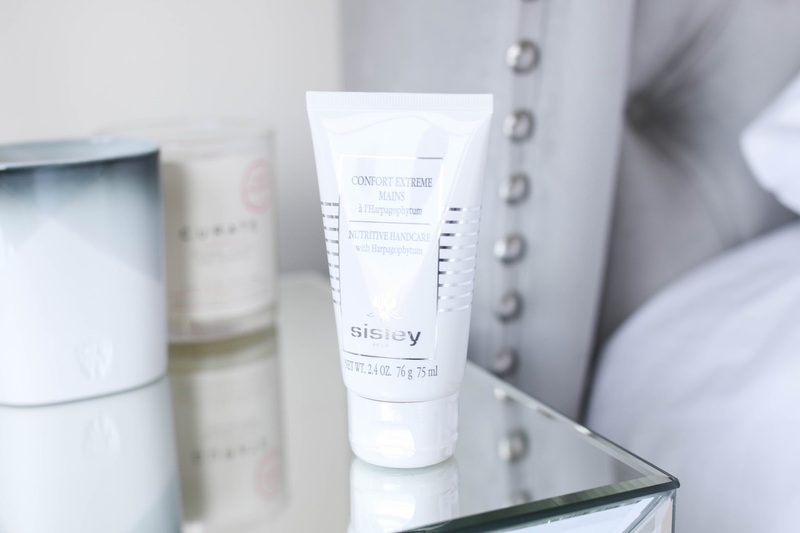 This body cream from Sisley manages to strike the perfect balance of hydrating the skin sufficiently while also leaving a delicate floral fragrance that never feels overpowering. It's one of those scents that doesn't precede me when I walk into a room, and is only detectable when someone is directly next to me. 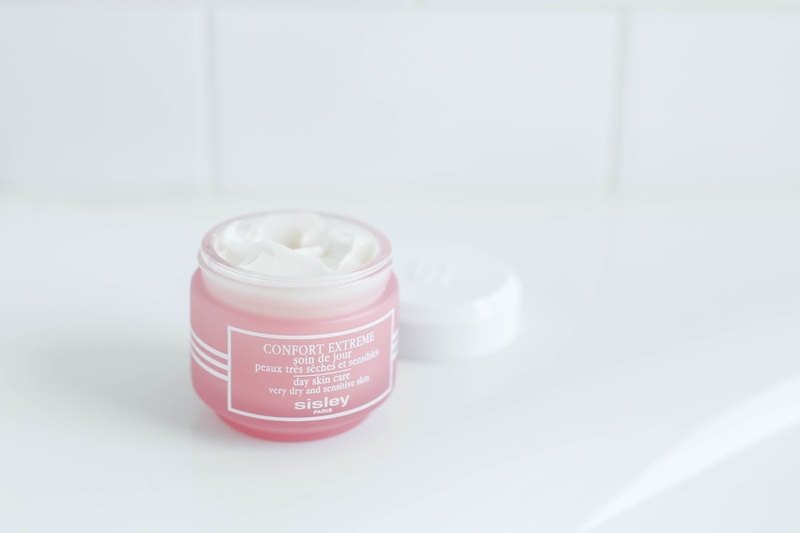 I know many people work in offices or want a fragrance option that doesn't bother those around them - and I think this body cream is a great option. 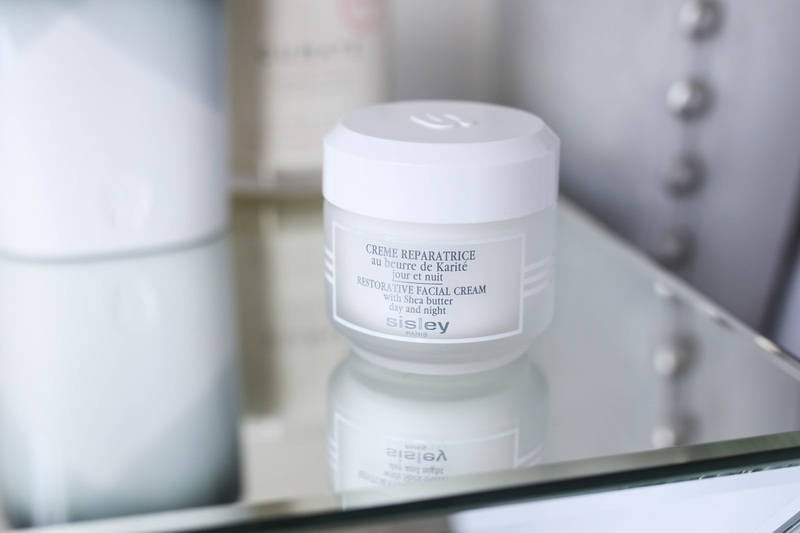 4.Restorative Facial Cream with Shea Butter - While the Confort Extreme cream is rich and nourishing, this restorative cream is even richer. This is best used at night for my skin and a little goes a long way. For irritated skin or skin that feels uncomfortable, this cream is wonderful. Even though I have combination skin, I love a rich cream on my cheeks where I can get dehydrated and dry. 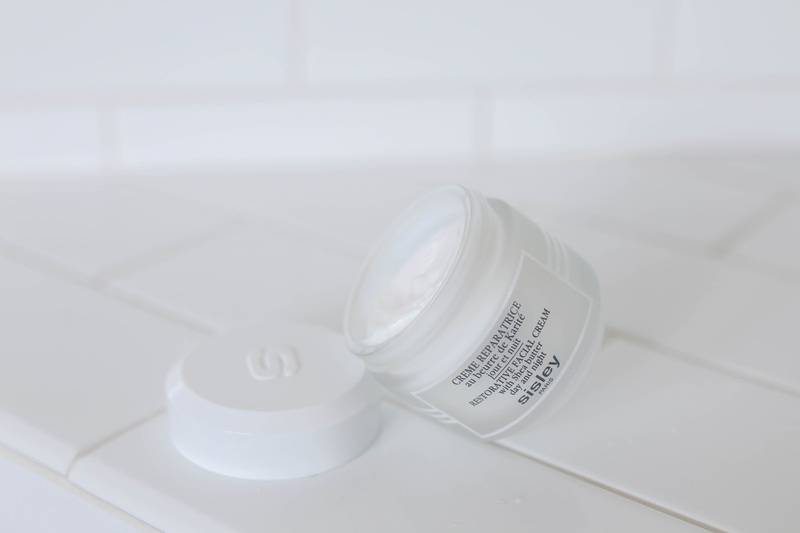 For those with drier skin types, this cream would be perfect either day or night when you need an extra added boost of hydration or comfort on the skin. 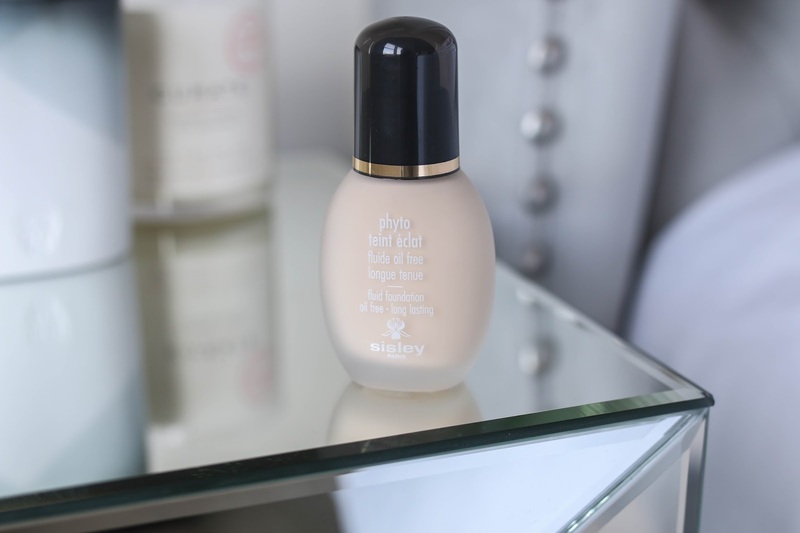 5.Phyto Teint Eclat Foundation - After falling in love with the Sisleya Le Teint foundation, I was excited to try more formulations from Sisley. Many of my readers have told me that they swear by Sisley foundations, and this oil free, long-wearing formula seemed perfect for me! I anticipated it being a matte finish since I associate that with a "long-wearing" description, but was surprised to see it was more of a natural skin finish. In fact, it falls right in the middle of not too shiny, not too matte - it makes my skin look healthy and fresh while still covering any uneven skin tone and discoloration. I wear the shade Porcelaine which is perfect for me in the winter. Though it is oil-free, I find the texture applies so smoothly and never pulls on dry patches so I would also recommend it to those with normal to dry skin types as well. 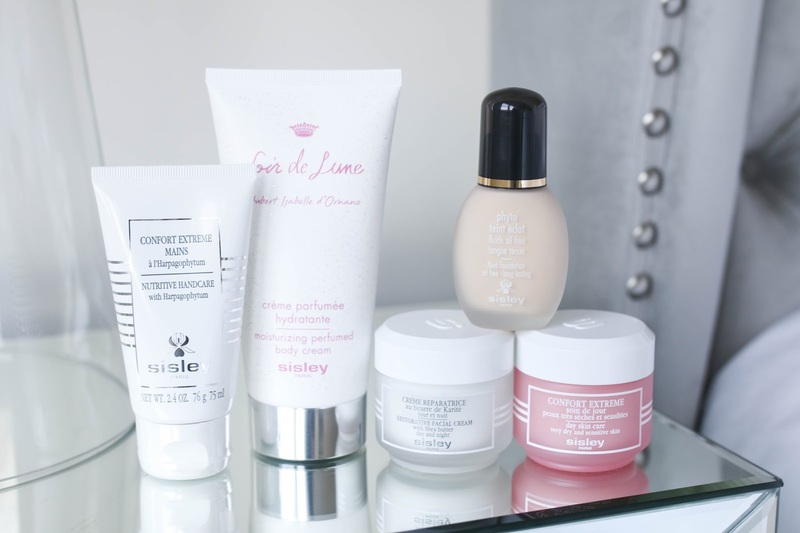 Another Sisley foundation love!